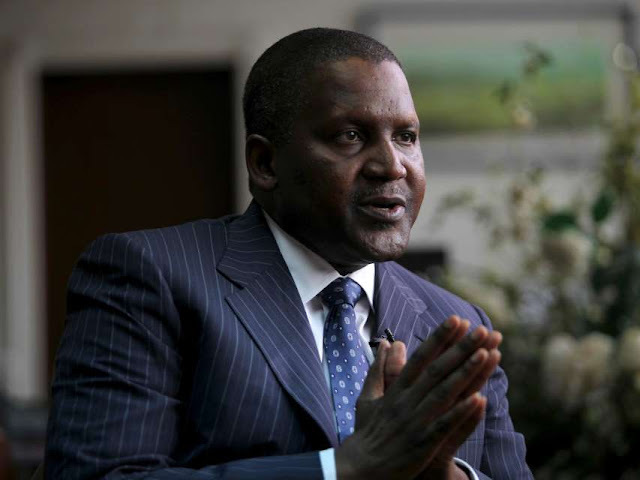 Is Dangote offering to buy Chelsea? Africa’s Richest man drops hint Nigeria’s richest man and Arsenal FC supporter, Aliko Dangote has revealed he might be interested in owning another football club if his offer to buy the London club yet again fails. Dangote expressed his interest to acquire Arsenal back in 2017 and has continued to make open advances for a deal should majority shares owner Stan Kroenke be willing to listen. Arsenal is worth $2.5billion and are the most profitable football team in the world behind Manchester United, but it shouldn’t be a problem for the Fulani Business Magnate whose current net worth is put at $10.4 billion, per Forbes.comIn an interview last year in Singapore, Dangote restated his desire to make another bid to buy the Gunners because ‘I am very attached’ to the club.